It's easy to change your email settings. Just go to your Team Settings. Log in to your I Done This account. Click on the team dashboard you want to change the settings for on the upper left side and go to your Settings (middle left). Scroll down to Reminders. 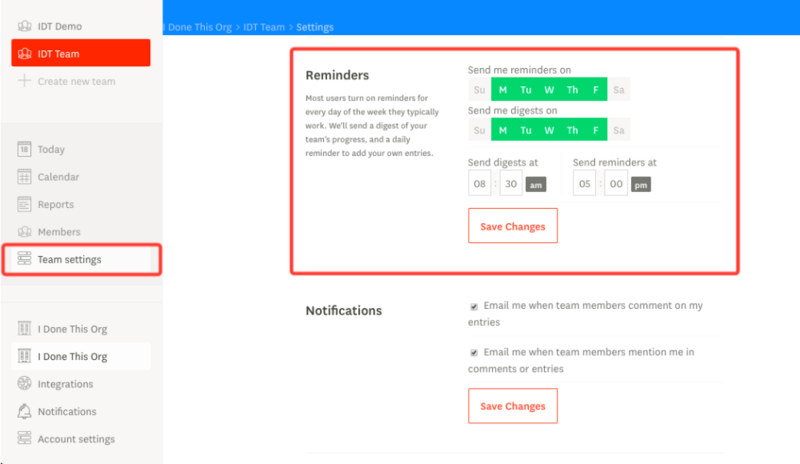 Here, you can choose the frequency of your email reminders as well as what time of day to receive them. If you scroll lower to Notifications, you can choose if you want to be notified comment on your entries or mention you.